LZ 129 Hindenburg, a large German commercial passenger-carrying airship designed and built by the Zeppelin Company, flew from March 1936 until it was destroyed by fire on May 6, 1937. 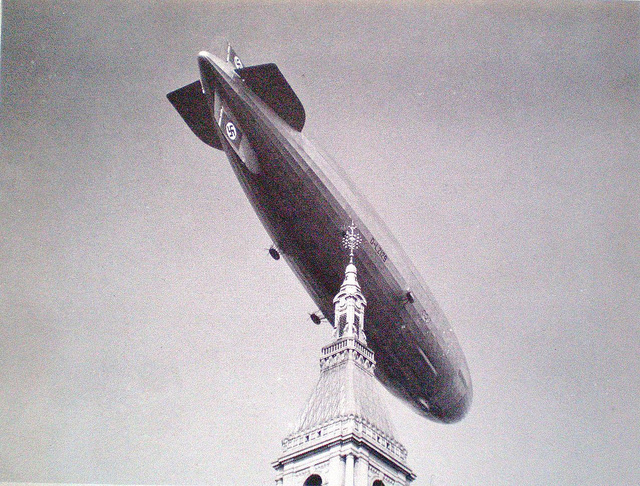 At the time of its destruction, the Hindenburg was in its second season of service and was at the end of its first North American transatlantic journey. Thirty-six people died in the accident, which occurred while landing at the Lakehurst Naval Air Station in New Jersey. This video, taken in October of 1936, shows the Hindenburg sailing over Hartford, a short seven months before its destruction.